Ohio tenants, is your landlord in breach of the rental agreement? Serve the landlord with this Notice of Landlord's Breach of Obligation. This Notice informs the landlord in writing that the landlord is in breach of its obligations under the rental agreement. If the breach is not remedied within a specified period of time, the tenant will deposit the rent with the Municipal Court as provided under the Ohio Revised Code. 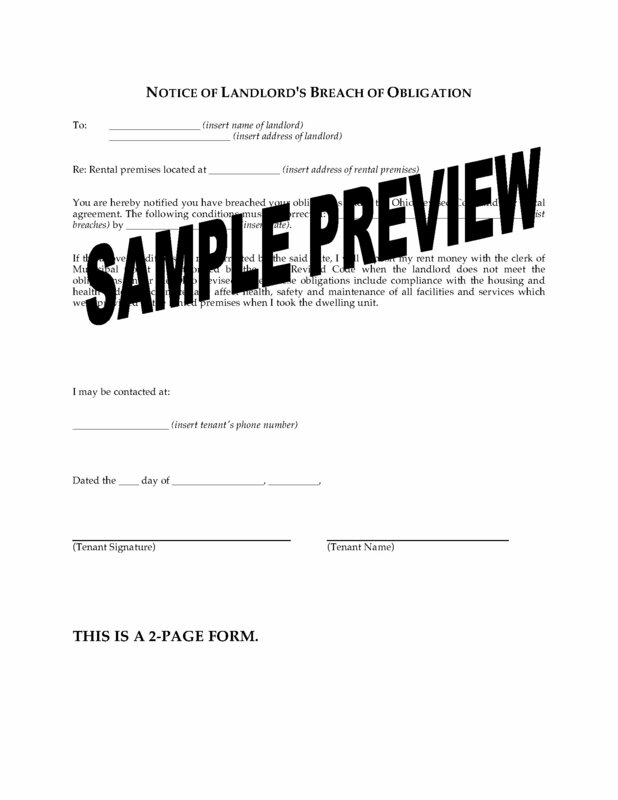 This Ohio Notice of Landlord's Breach of Obligation form is provided in MS Word format, and is easy to download, fill in and print.